Ice cream is one of my favourite foods, along with hot chips, crisps, burgers and pizza (my Disney princess name is Carberella). I love ice cream, from the cheapish 2 litre supermarket variety (topped with either milo, or honey and cinnamon- chai style:) to the $7 a cup artisan gelato. 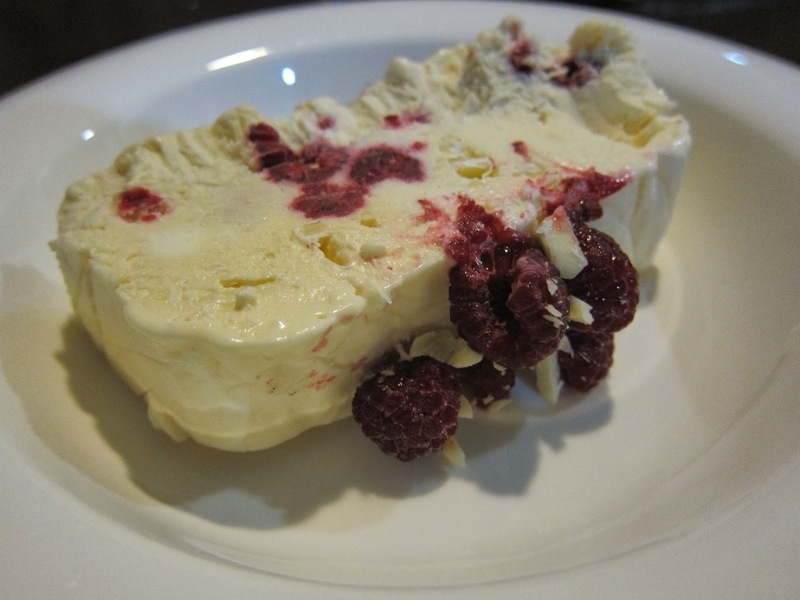 Homemade ice cream is a fantastic, very affordable treat but it can be quite time consuming (making the custard then chilling it, churning, freezing) and I have one of those old-school ice cream makers that you have to remember to freeze the day before. Creamy and delicious and can be made in less than half an hour (plus about 6-8 hours freeze time). 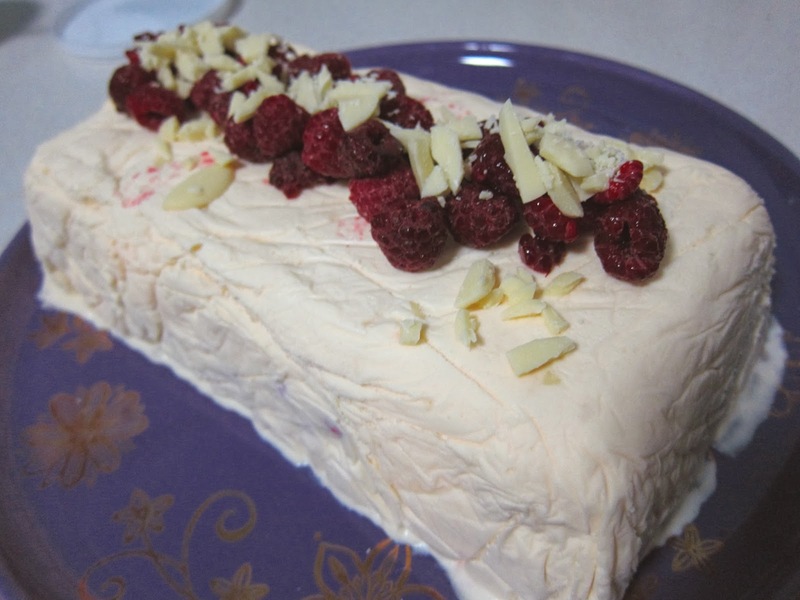 What I love about this recipe is that it is a simple base that you can customise. The basic recipe is Donna Hay's- I particularly like her's because it has only a few ingredients which you can just about learn by heart. 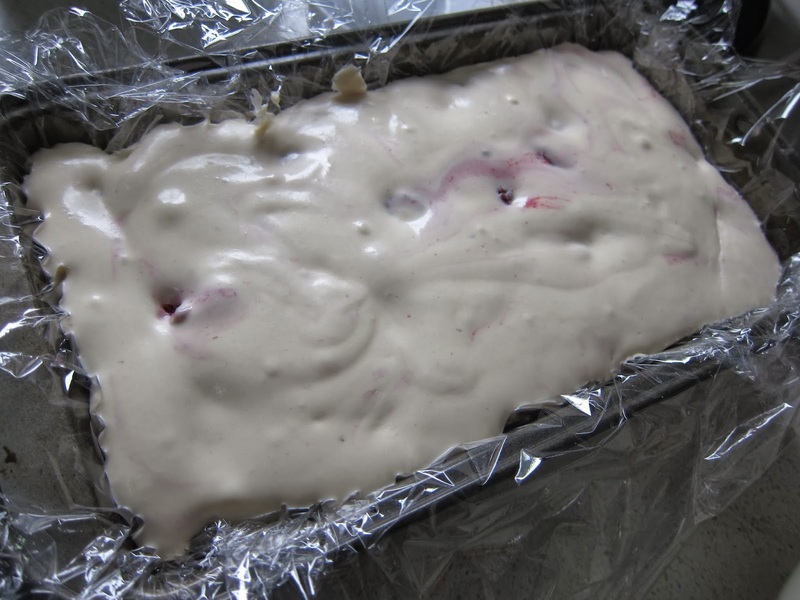 Line a large loaf pan with a couple of layers of plastic wrap- make sure all gaps are covered, this is what will make it easy to remove later. Also smooth down the glad wrap so that the filling can't seep between layers. The mixture makes about 2 litres so you might need a second smaller container (the cook's sample). 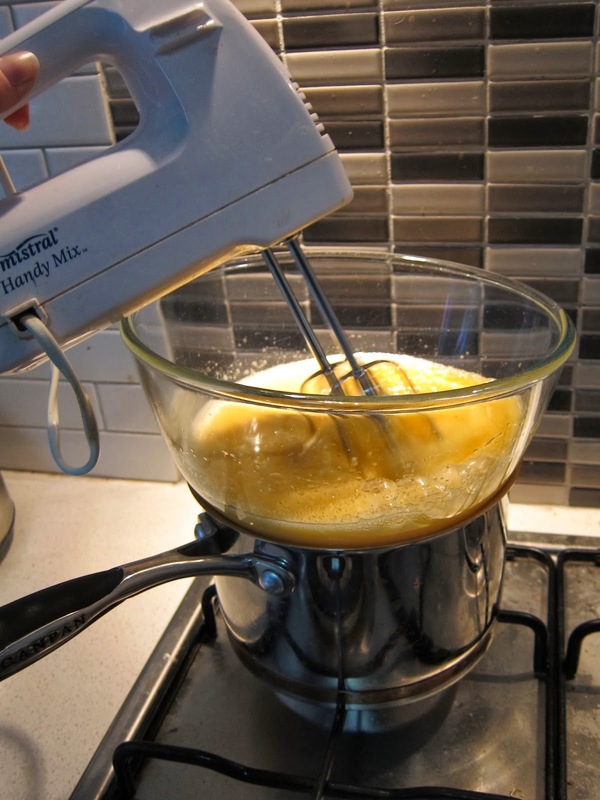 You need to set up a simple bain marie. Bring about 1-2 inches of water to a simmer in the bottom of a small saucepan and then set a larger heatproof bowl on top. 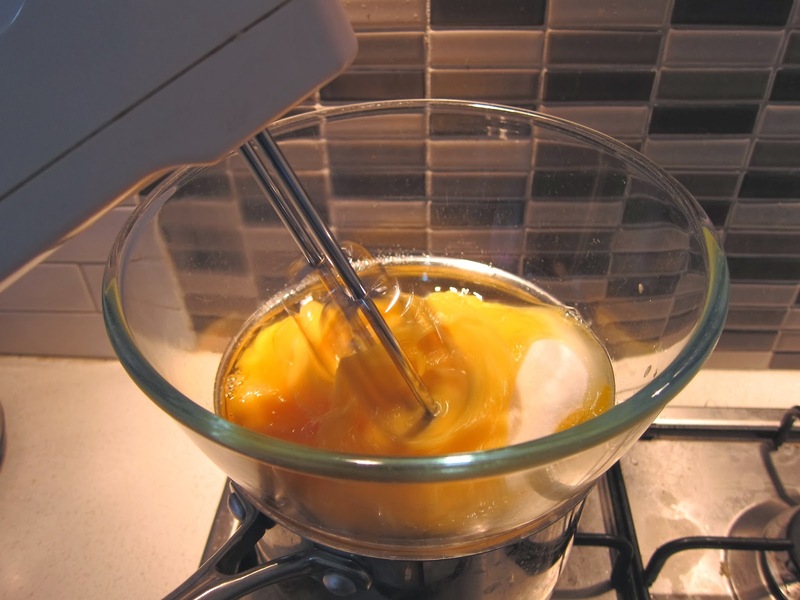 Put the eggs, yolks, sugar and vanilla in the bowl and beat with a handheld electric mixer for 6-8 minutes. 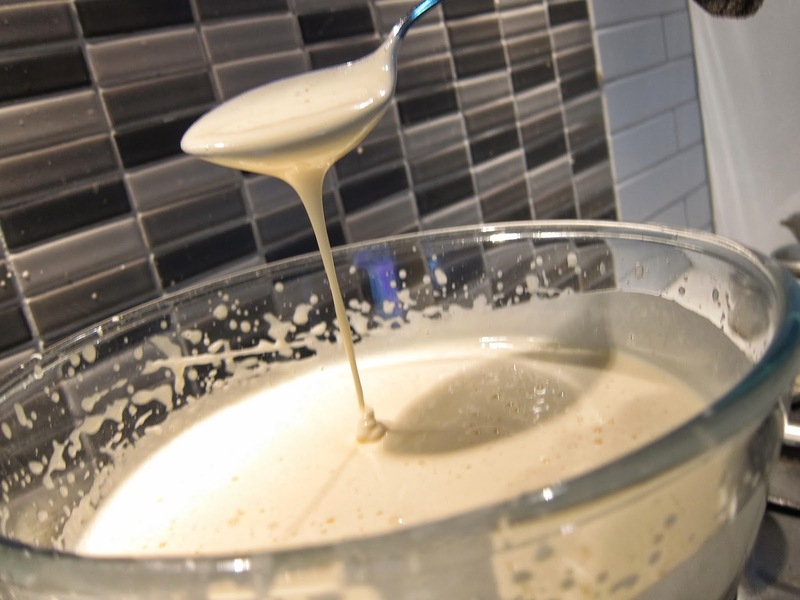 Your mixture with thicken and lighten and look quite fluffy when it's done. Remove from heat and allow to cool a little to about room temp. In a clean bowl whip your cream until stiff peaks form. Also prep your flavourings. Gently fold the egg mixture through your whipped cream then gently (must be gentle to keep the air in your mix) stir through your flavourings. If you want to be ultra creative and have different coloured layers you can split the mixture at this point and add different flavourings to each part. Also chopped Oreos/cookies, chocolate, nuts and any fresh or frozen fruits you like. Pour your mixture into your prepared pan. 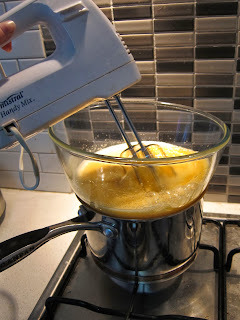 if you have 2 layers then gently spoon the top layer in unless you want it all swirled (which is also nice). Put in freezer and leave it be for 6-8 hours. Take out of the freezer and allow it to soften in the fridge for about half an hour before serving. Turn onto a plate, top with your extra toppings and serve. Rich and creamy and so pretty. And cheap, the entire cost is about $6-7. Hi! 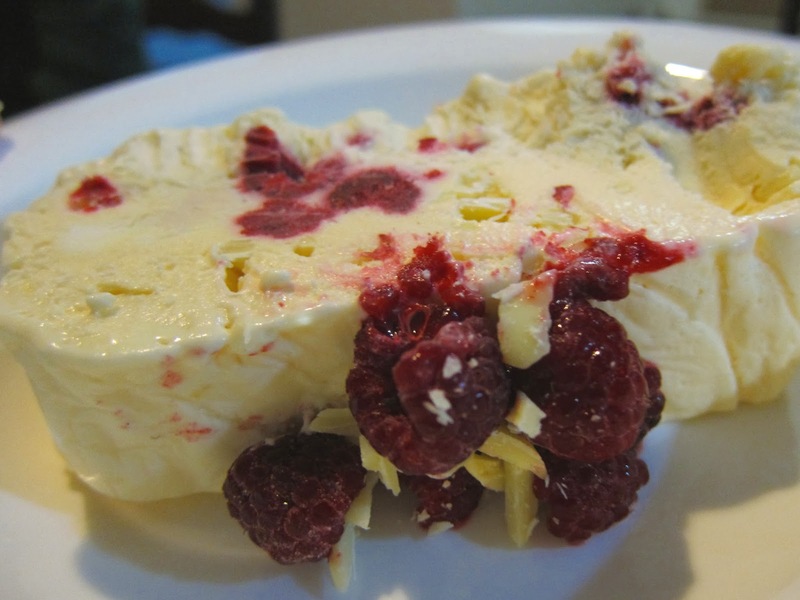 Your semifreddo recipe was nominated as one of the "Best 300 Semifreddo Recipes on the Net". To vote for it, please visit http://easyitalianrecipes.org/dessert-recipes/best-300-italian-semifreddo-recipes-on-the-net-vote-for-your-favorite/ - your recipe is positioned at #11 (random order).